I can hear the voice of Anne-Marie, my yoga teacher, saying “I can see you hanging out in your comfort zone! Go deeper!”. Indeed, going deeper is the path the creative person takes, to stretch into those uncomfortable places, until you find comfort and then go deeper again. That is a description of growth, of how to gain perspective, and new ideas. I find that I am most satisfied with my creative outcome, when I go the extra mile, force myself to work in a particular technique, or crawl in grass to find a new angle instead of using the angle of my last success. This is true for everything. The sweetest rewards await us just beyond our reach. I have so often thought that the stretch needs to be something huge, like jumping out of a plane. Something where you are taking your life in your hands, and flying with the faith in the Universe. But really, for me the big stretch is a daily decision to stay conscious. Something that is made in the moment of the everyday choice. It is a decision to stay healthy, physically and mentally. They are small decisions, but they need to be made over and over again and the culmination of those choices, go deep. It is getting up in the morning, and focusing on my breath for three deep breaths before picking up my phone. It is choosing to write when I feel like binging on another episode of mindless tv. It is going to the yoga when I rather have another cup of coffee. It is choosing to walk instead of drive. It is setting a daily alarm as a reminder to say gratitudes, so I don’t take for granted the many, many good things that show up in my life, every single day. Going deeper is making small conscious choices. Choices to be healthy, choices to be creative. One choice at a time. One day at a time. 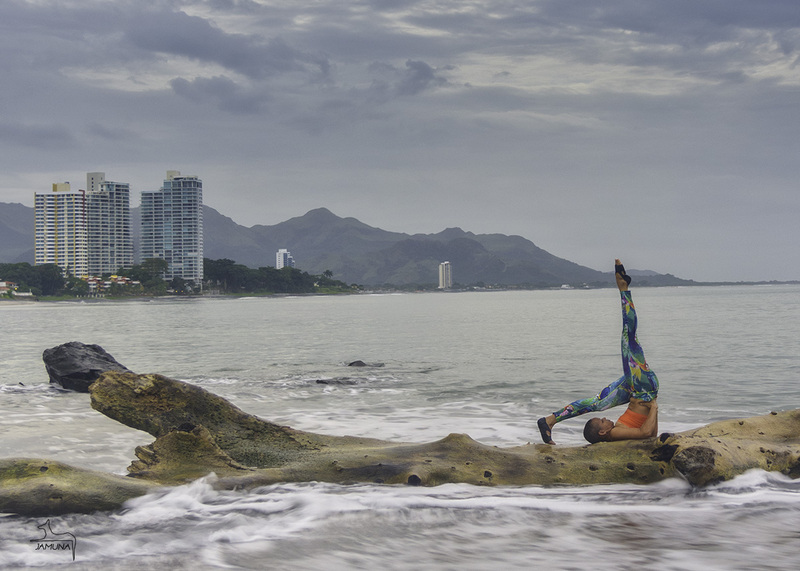 Anne-Marie Bergeron doing a deep yoga stretch at Playa Coronado in Panama.